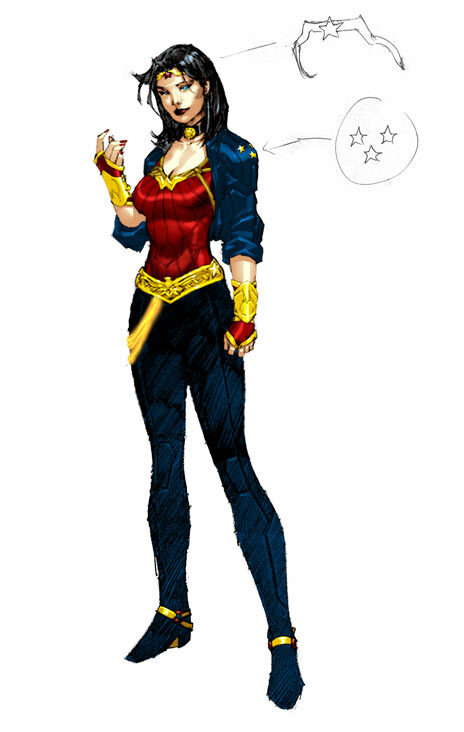 A few hours ago, DC revealed a new uniform for Wonder Woman. This is her third design change since the Jim Lee costume from 2010, which drew a huge amount of outrage. Instead of the traditional star-spangled one-piece bikini, Wonder Woman now sports full sleeves and pants, and the stupid turtleneck that seems to be obligatory with the New 52. I’ll say it – I’m not a fan. I’m all for a Wonder Woman that’s actually fully clothed, but this costume is ugly. I like the armored shoulders, and the bigger gauntlets, but what the hell are those blades coming out of those gauntlets for? Why are they putting a corset on top of the skintight outfit? Haven’t they learned from the 90’s where girls who put spaghetti tops on top of their t-shirts looked ridiculous? It’s badass, I admit. She looks like she’s about to ruin somebody’s day, but still ugly. Honestly, though, I don’t think this is Wonder Woman’s worst costume. Man, the Jim Lee/JMS Wonder Woman costume is looking fantastic now, right? 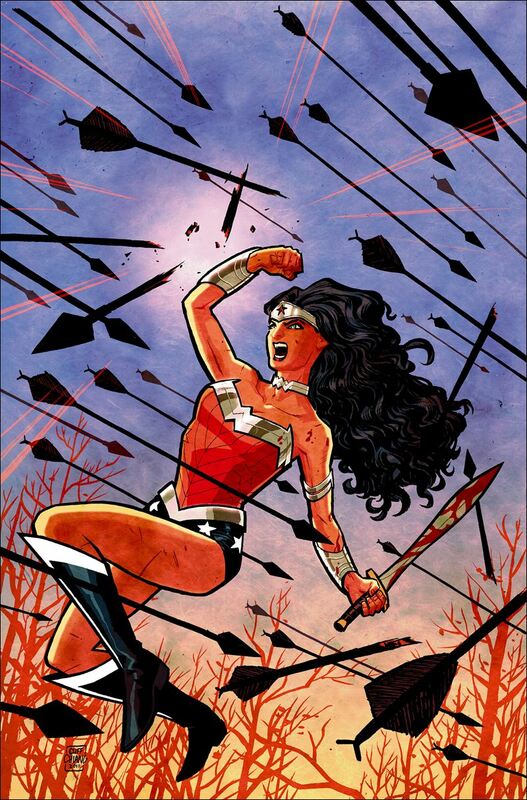 What do you think of the new Wonder Woman? You should leave a comment and tell us what you think!